Registration begins in November. Apply and start financial aid November-December. We’re excited about your interest in SUNY Orange. To start a degree or certificate program, or to enroll in credit classes, we suggest you apply in plenty of time to allow for taking the Placement Test and completing your New Start requirements before registering for classes. The timeline at right gives you a general snapshot of when you should apply and begin the financial aid process, but SUNY Orange accepts applications on a rolling basis so you can initiate your application at any time. Once you are accepted, you will receive our checklist for enrolling as a student at SUNY Orange. If you have questions, contact us anytime. We're here to help you take the next step. Complete the New START requirements. Based upon your situation, there may be additional tasks required before you may register for classes. Visit our Admissions page for more detail information. New to SUNY Orange? Whether you are a graduating high school student, an older adult looking to return to the classroom, or seeking to transfer to SUNY Orange from another college or university, we encourage you to visit our Admissions page or apply online if you are ready to begin the process. If you’ve been away from SUNY Orange for more than two years, you must reapply. Choosing SUNY Orange will help you to maintain, stay competitive, or advance in your career with methods of instruction that work for you. Learn more. If you’re enrolled at another college and plan to take summer, winter or online credit classes, click here to view available courses. If you are in high school and would like to take dual credit classes, investigate our Community College in the High School (CCHS) or College Experience Program (CEP) offerings. Prospective international students should click here to learn more about the application and admissions processes. 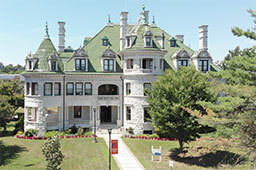 Note: All international academic credentials must be evaluated (www.naces.org) before the College will issue an eacceptance..
For professional development training, HSE classes, enrichment courses, youth programs and more, take advantage of our Continuing and Professional Education (CAPE) non-credit programs and classes.